A spacious and cozy veranda or, as it is fashionable to say today, the terrace is a great place for both secluded relaxation and for holding cheerful, tumultuous parties with friends in the warm season. 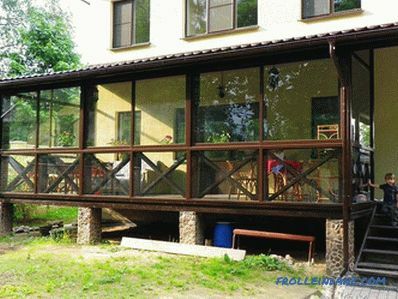 A competently designed veranda with an original design can immediately become a real decoration of the facade of any private house. 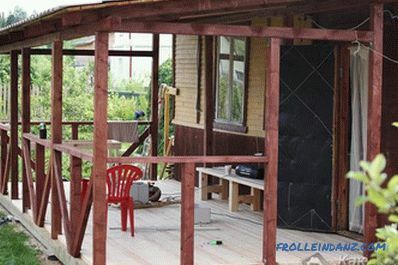 Of course, the best construction of a veranda to lay in the main project of the construction of the house. But do not be upset if you have not done this prudently, because this type of room can be attached at any time. 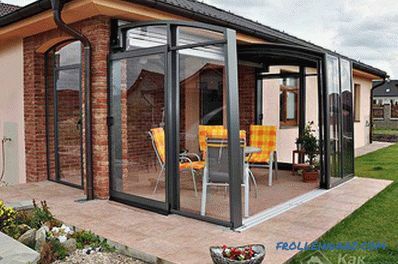 In this article we will explain how to attach the porch to the house with your own hands, consider the options of a polycarbonate veranda, as well as an open veranda, give photos and video instructions. As a rule, have a veranda in front of the main facade, but it is not forbidden to place it in front of the side facade, if necessary. It is important that the veranda is clearly visible from the gate (the main entrance to the courtyard) and have access to the rooms of the house. The defining role in calculating the length of the veranda is played by the length of the facade of the house, along which it will be completed. With the width, everything is much simpler, usually it is about two and a half meters. Before proceeding to construction, do not forget to prepare the workplace, that is, to clear the area, dismantle the porch and the visor above the entrance. For a frame or wooden veranda well a columnar foundation is suitable, i.e., a foundation with the installation of masonry pillars under the corner posts. It is recommended to dig holes under the posts to a depth of more than a meter - this will be more reliable. For a light verandah of small size, it will be enough to place columns in the corners, and for a more overall extension, you should install intermediate stands with additional columns (50 cm steps). First, pits of at least one meter depth are dug. The bottom of each pit is filled with layers: first, 20 cm of sand is poured, and then 10 cm of gravel. A concrete base is poured in (approximately 15 cm) and some time is allowed for the concrete to set. Laid out of brick pillars. Their elevated part is brought to the height of the main foundation or slightly lower. The height of the brick pillars of the foundation is made, as a rule, 30 cm below the floor level. Each finished pillar should be missed with hot bitumen. Cavity pillars are filled with brick fragments or small gravel. The gaps between the pillars and the ground are covered with sand. Frame of the veranda, as a rule It is made of wooden bars, the size of the cross section of which is 120x80 or 100x200. For the same purpose, logs are sometimes used (with a diameter of ≤ 12 cm). 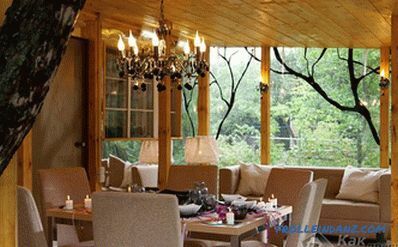 Begin erecting a wooden frame, usually from the bottom trim (preferably double). Connections bars should be made direct lock. At the level of the second log, logs and vertical stands with spikes (50x50) are cut into the harness. Fasten the entire structure with nails, and for greater reliability using brackets. The most correct distance between the supporting columns is 50 cm, but, as practice shows, this value is greater. The rafter roof system and top piping are mounted on racks. Racks can serve as solid wooden beams, as well as connected two boards (section 120x40) with a gasket between them. To attach the rafters use a horizontal beam passing under the slope of the roof of the house. Beam and stand should be fastened with anchor bolts. In the process of installing the frame of the veranda, make sure that the erected roof of the veranda is well joined to the roof of the house. Of course, the roof of the veranda should be an extension of the roof houses. It is recommended to perform it from the same roofing material, but other types are also allowed. Roofing material is attached to a wooden crate. The batten is mounted either at intervals or closely (depending on the type of roof). The boards are fastened closely in the case of using rolled material. While fixing the flooring to the rafters, nail heads should be embedded in a wooden surface (they should not come out in any way). The rolled material is fixed at the edges with nails, and for additional fixation, the slats are nailed to the coating. The protruding edges of the roll should be folded inwards and fastened with nails. If steel roofing material is used for the roof, it is fastened to the crate with nails and joined with a “seam” seam. Overlap mounted sheets of asbestos cement.In this case, the upper sheets overlap the lower ones by at least 14 cm. 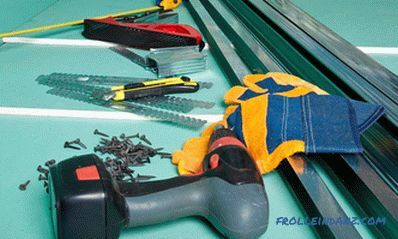 They are fastened to the pre-drilled holes with nails or screws. 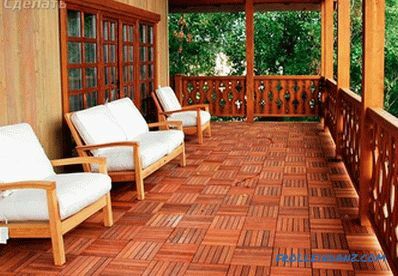 Usually the floor is made wooden, taking as a material wooden boards, covered with antiseptic in advance. 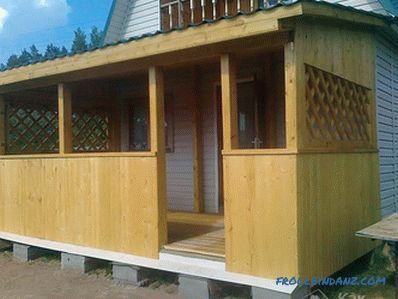 The veranda can be left open, or you can build walls by constructing them from wooden shields or clapboards. In the second version do not forget to take care of the windows. 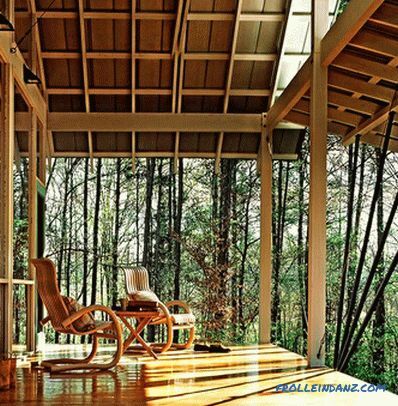 Do not overly warm the walls of the veranda, because it is considered a summer room for rest. 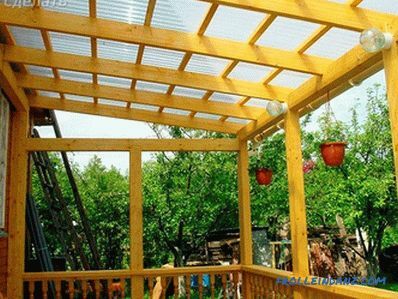 After the floor, frame and roof of the veranda have been made, you can proceed to the paneling of the structure with polycarbonate. 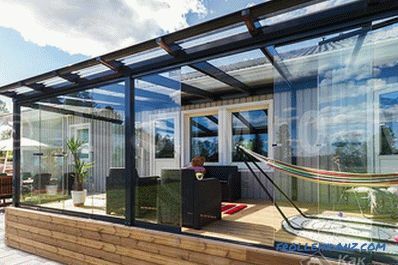 So, you get a light and light veranda on which you can have fun during the warm season. Polycarbonate is a translucent material made from carbonic acid polyesters. It is produced in the form of cellular or monolithic panels. In cellular polycarbonate there are cavities between stiffeners that connect two sheets to each other. 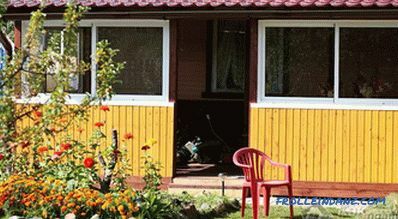 They are often replaced with glass in the arrangement of the verandas. This is due to a number of positive material properties. High strength. These indicators have polycarbonate 20 times higher than glass. If the polycarbonate is damaged, it will not crumble into small fragments, like glass, and break into fragments that have no sharp corners. Thus, the traumatic risk of polycarbonate is minimal. High light transmission performance - reaches 86%. 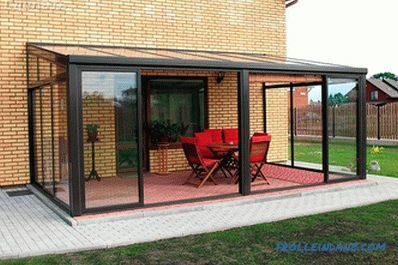 Due to the fact that part of the light is scattered, polycarbonate creates protection from direct sunlight. Partially absorbs UV light. Polymer panels are flexible, making it possible to design curved shapes. 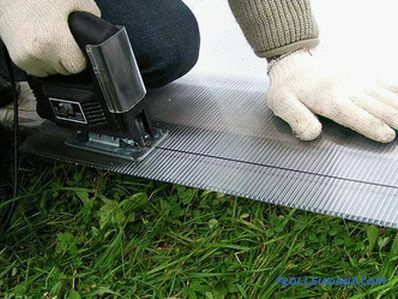 Polycarbonate can be bent without special equipment, right on the installation site. The temperature range is from -40 to + 120ºС. 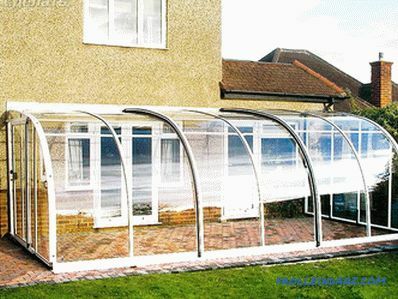 And this implies that the polycarbonate is not afraid of either the scorching sun or severe frosts. 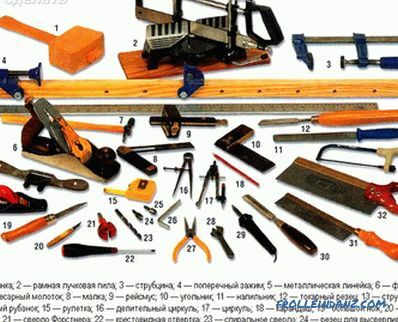 If you do not have much experience in construction, then do not worry. You can master and implement this technology. 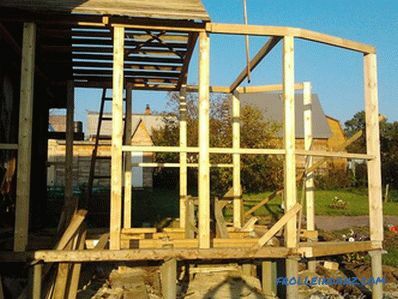 Initially, the foundation should be made, the elements of the frame should be fixed in it. After complete hardening of concrete, you can begin to manufacture the frame. 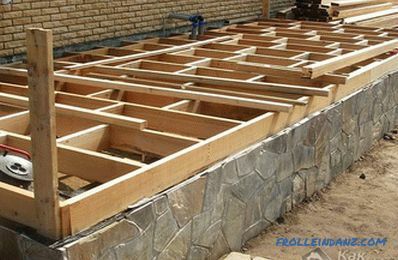 How to make the foundation and frame of wood has already been described in the article. Welding is not required, since all connections will be made with bolts. To do this you will need a wrench. 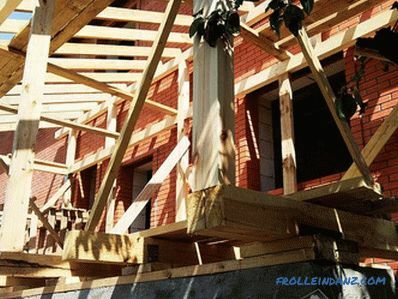 The main fastening of beams is an anchor, which are laid in the foundation of the foundation. If they have not been installed, then you will have to drill holes in the foundation and screw in the check bolts, and then fix the beams. Sigma profiles are held together by standard fittings. If you have made a frame from rolled steel, it should be treated with a primer and then painted with metal paint. Thus, you protect the frame from corrosion. Now you need to cut the polycarbonate to fit it to the required size. This can be done with an electric jigsaw. It is important to note that the sheets should be tightly pressed to the surface. If you cut polycarbonate too fast with a jigsaw, it will melt, and if this work is done too slowly, then the material will burst. 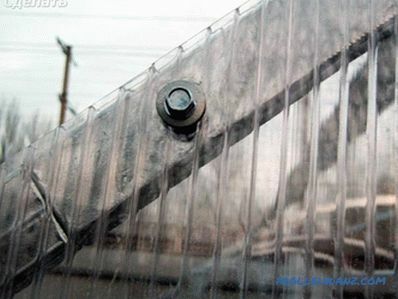 To create a temperature play in the process of assembling polycarbonate sheets, it is necessary to ensure that the screws are not clamped against the stop. In addition, when installing polycarbonate, gaskets should be laid under the washers without fail. This will protect the material from damage and leaks. The holes in the polycarbonate should be slightly larger than the diameter of the screws. So, at temperature drops, polycarbonate will narrow and expand without being deformed. 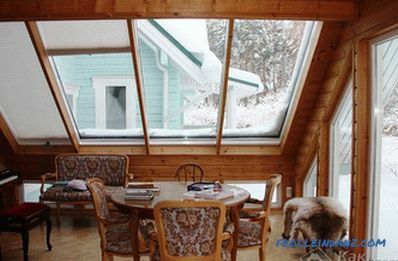 The roof is installed according to the scheme already described in this article. If you wish, you can also make it out of polycarbonate. In this case, your building will be very bright. Polycarbonate is laid on the roof on the same principle as on the walls. 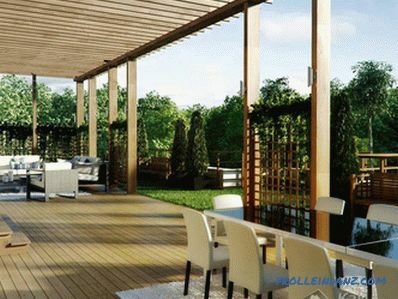 The open veranda is a frame structure without walls, and the roof is installed on beams. This design has several advantages and disadvantages. Easy to install. 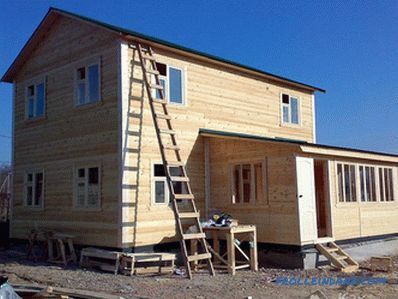 At its construction takes a minimum of materials and time. It is easy to build. Easy care. Such a veranda is rather part of the street, not at home. Therefore, to keep it clean, it is enough to regularly sweep the floor. 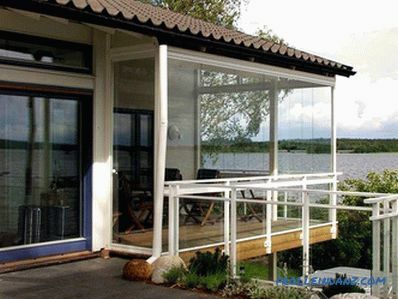 An open veranda will allow you to enjoy the opening scenery and breathe fresh air while you are on it. Unsuitable for use during the cold season. It is impossible to install upholstered furniture on the open veranda, since it will be impossible to take care of it, which means that staying here will be deprived of a certain household comfort. It may be difficult to choose finishing materials, as they will be adversely affected by the environment. The open-air porch is not glazed and walls are not erected on it. It is often used as a gazebo. Build it frame way. 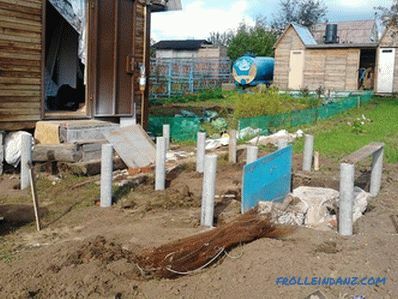 Concrete pillars for the foundation. Bar for a framework with a section of 150 * 150 mm. Bar to strengthen the frame section of 120 * 120 mm. Crate for the bottom of the veranda. This may be OSB, forging or slats in the form of slabs or balusters. Screws on wood 100 mm and 25 mm for mounting OSB or wooden lining. Beams for roof mounting 150 * 150 mm. Crocs 60 * 120 mm. 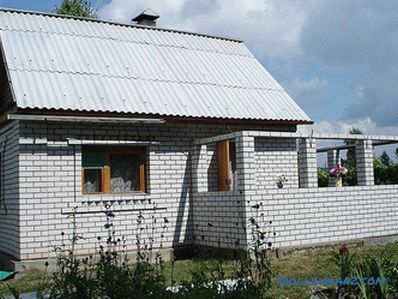 Roofing materials, such as metal or ondulin. Boards for making roof lathing. Lags 100 * 100 mm. Board for floor 30-40 mm. Paint and varnish products for wood processing. Rolled waterproofing for the foundation. With the method of manufacturing the foundation you have already read, therefore we will miss this item in our description of the construction of an open type of construction. And immediately proceed to the features of the device floors. 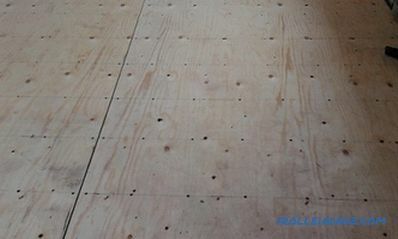 To make a high-quality installation of the floor, you must first prepare the base. To do this, the land is leveled and ground first. Adjustable supports can serve as supports for logs. 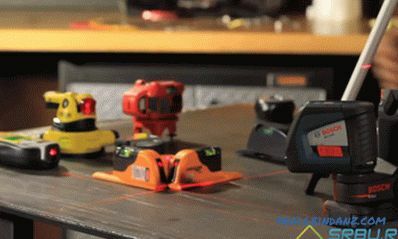 Moreover, their number will directly depend on the planned loads on the floor. 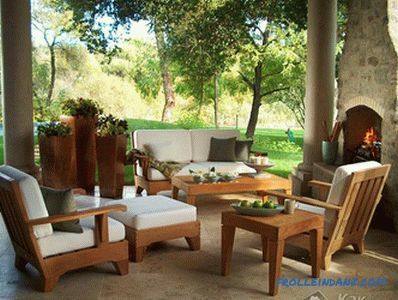 This idea is great for open-air verandas. Then install the logs on the adjustable feet and fasten them. Thanks to these supports, you can adjust the slope of the floor and level it. Installation of boards begins with the edge of the veranda parallel to the lags. Boards should be smooth and dry. They should be laid close. 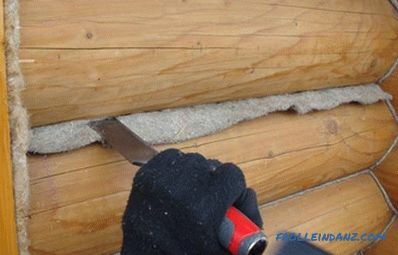 Fastening boards to the logs is carried out with nails or screws on wood. The wooden floor is short-lived, as it does not withstand prolonged exposure to an aggressive environment. 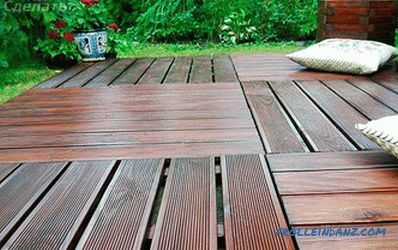 If you want to make a more durable floor on the veranda, then you can replace the boards with a decking or as it is also called a deck board. 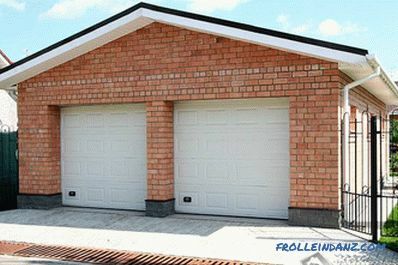 The device of the frame and the roof does not differ from the technology described in this article. 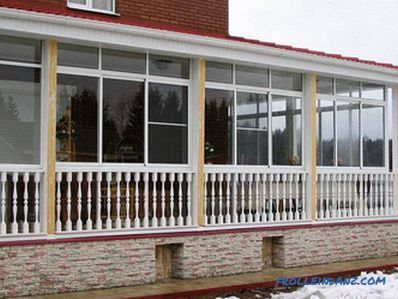 To make the wooden elements of the open veranda last longer, they should be impregnated with special antiseptics and covered with paint and varnish products. Among other things, these actions will highlight the tree structure and help make the extension more attractive. The lower part of the veranda also needs finishing. 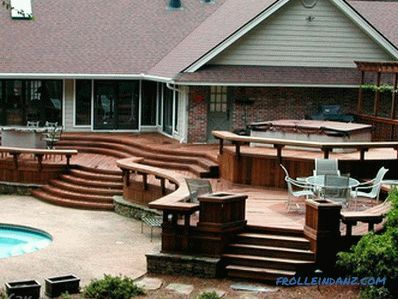 To do this, you can use the slats, which are fixed at an angle of 45º, forged elements or balusters. If you use wooden or plastic lining for this, then under it you will need to make a frame of bars. To finish the ceiling and gable you need to use the same material. It can be wooden lining or OSB plates. At this stage it is important to conduct electrical cables to illuminate the veranda and to make appropriate holes in the headlining. how to build an arbor with your own hands made of wood.